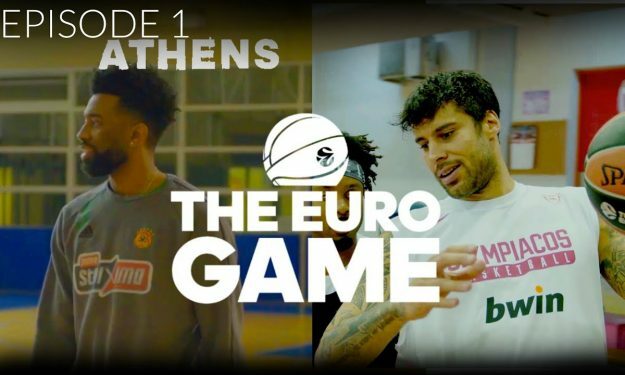 The first episode of EuroLeague Basketball’s “The Eurogame”, takes place in Athens Greece where three 3 on 3 hoopers get some lessons… by the pros. What kind of advice do some professional EuroLeague players give to three 3×3 guys ahead of a special challenge in the Final Four? Euroleague Basketball created a 3×3 team of creative ballers to compete against a ranked 3×3 team at the Final Four: Hoopsidia from Paris, TrescoBall from Barcelona and Stelios from Athens. Their coach is Devin Williams from In The Lab. They trained with EuroLeague’s stars to hone their skills and travel through Europe to learn from different bball cultures. We follow them in their journey towards the Final Four where they will compete against a ranked 3on3 team. On their way to the Final Four they stop in Athens, Munich and Madrid Have the got what it takes?….